One of newest and most effective gas stoves, the Vogue. As a high output, high efficiency stove available in conventional or balanced flues, this gives flexibility whatever a chimney is present or not. 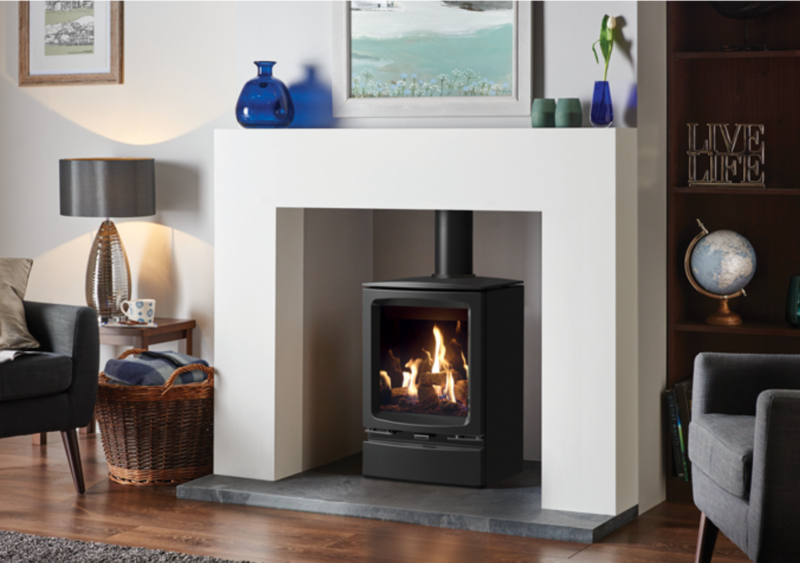 Either as a minimalist freestanding style on a hearth or by integrating into an inglenook package, this stove will add a contemporary focal point. The black glass linings only add to this effect and gives the stove a satisfying effect.